Since moving to Annecy, I've been cycling near enough everyday and my body can definitely feel the difference. I didn't notice my legs getting stronger until I went to the gym and could leg press a lot more than I used too, which was great news because I was afraid of losing strength as my exercise routine has been geared more towards cardio and less strength training since being here. However there has been a downside, my flexibility has suffered as a result and yoga has become an essential part of my daily routine so that I don't end up with stiff legs all of the time. Here are 5 yoga positions that I find are best for stretching muscles that tense up after a cycle. Sitting down on a bike for long periods (or anywhere for that matter) can cause your hip flexors to weaken which can lead to all sorts of problems such as lower lack pain. 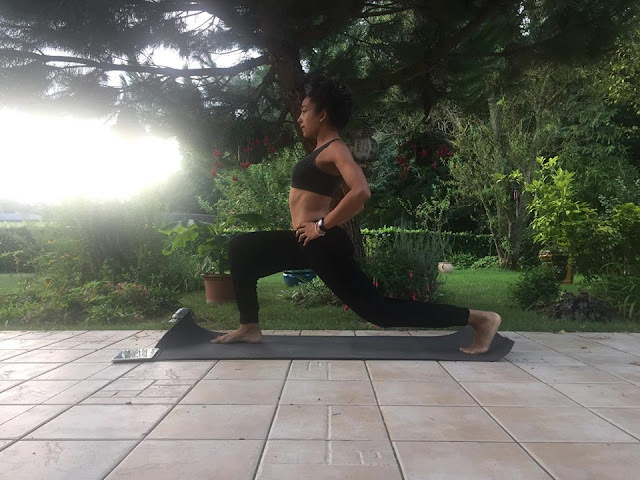 If you're leaning forwards often then you are usually shortening them, a low lunge stretches the hip flexors and boy will you feel it! Make sure your hips are both facing forwards and you push your pelvis forward to get a full range of movement. It is difficult to keep good posture when you're cycling and can lead to your shoulders rolling forwards and hunching over. 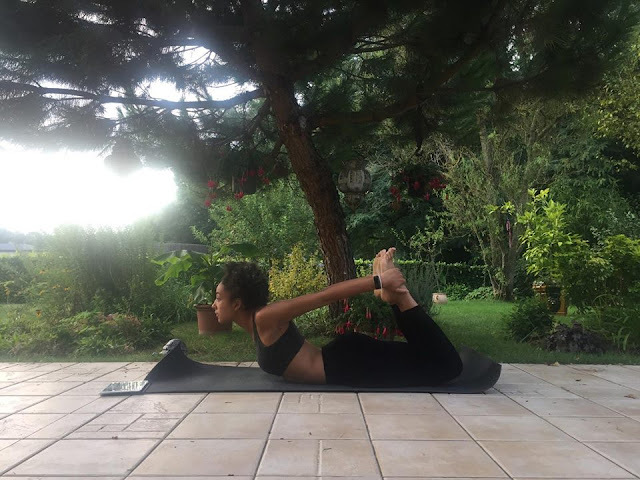 The camel pose stretches your chest muscles by opening the pectorals which can tighten from being in a hunched over position, this can help with postural correction also. Now if you've got tight quadriceps which a lot of cyclists will have this can be bloody difficult and a bit painful. I often find that I don't get a good stretch with most quadricep stretches but I can really feel this one. If you find it too difficult, try one leg at a time and it is just as effective. Stretching the legs is important to stop injury and prevent muscle imbalance. Stick to a full cobra or just a little baby cobra if you find it too difficult. 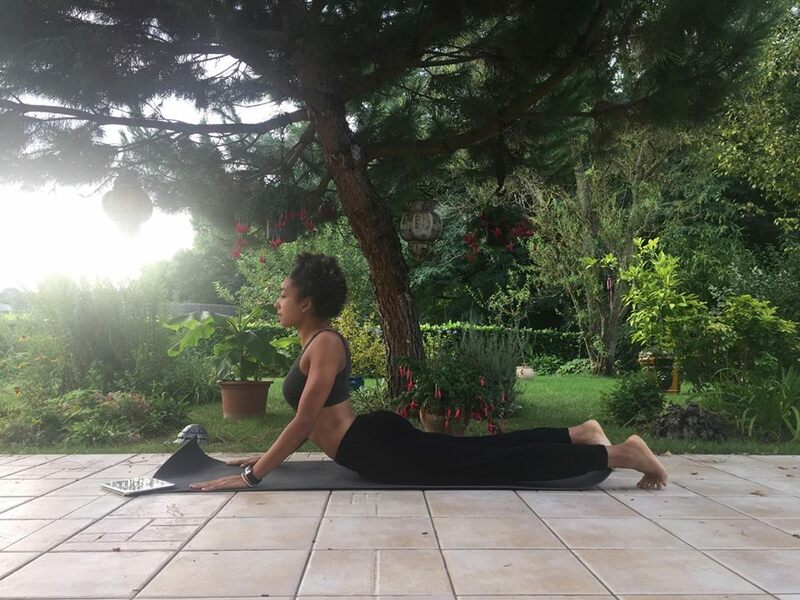 The cobra pose stretches your abdominal muscles which are normally all hunched and squeezed together when you are in a cycling position. It also helps strengthen your erector spinae (lower back) which many people have problems with. This is a nice easy position to help stretch the hamstrings and the spine, if you need, give your legs as much bend as possible. 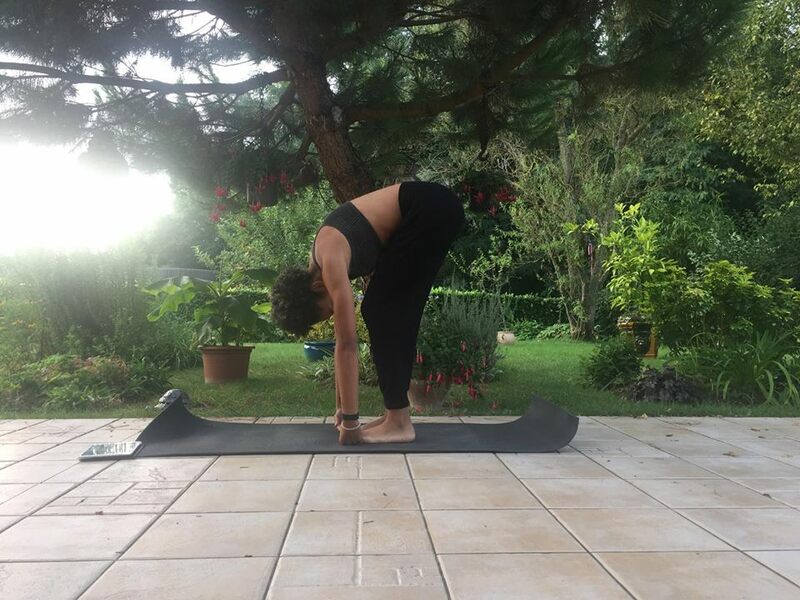 The main point of the exercise is that you want to relax your spine and give it length, it doesn't matter if you can't touch your toes.